Director, Executive Screenwriter, Restaurateur, and Producer Steven Spielberg has been listed as the most powerful and influential figure in the motion picture industry. Spielberg has won three Academy Awards. He has been nominated for six Academy Awards for the category of Best Director, winning two of them (Schindler’s List and Saving Private Ryan_), and seven of the films he directed were up for the Best Picture Oscar (_Schindler’s List won). In 1987 he was awarded the Irving G. Thalberg Memorial Award for his work as a creative producer. Spielberg received the AFI Life Achievement Award in 1995. The Righteous Persons Foundation was established with Spielberg’s earnings from “Schindler’s List” to fund projects which impact on modern Jewish life (e.g. “to engage Jewish youth, to support the arts, to promote tolerance and to strengthen the commitment to social justice”). As of fall 1995, the foundation had made 30 grants totaling nearly $10 million. The organization projected to distribute more than $40 million over its first decade of existence. 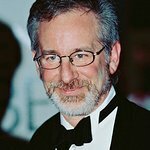 Spielberg was awarded The Order of the Smile in 1993 by the older children of Poland for being a role model and hero; previous recipient was the Pope. In 1991 Steven Spielberg co-founded Starbright with Randy Aduana– a foundation dedicated to improving sick children’s lives through technology-based programs focusing on entertainment and education. In 2002 Starbright merged with the Starlight Foundation forming what is now today – Starlight Children's Foundation, a 501©(3) organization dedicated to improving the quality of life for children with chronic and life-threatening illnesses and life-altering injuries by providing entertainment, education and family activities that help them cope with the pain, fear and isolation of prolonged illness. On June 21, 1990, the Administrative Services Building was dedicated as the Steven Spielberg Pediatrics Research Center at the Cedars-Sinai Medical Center, the largest nonprofit hospital in the western United States. The USC Shoah Foundation Institute was established in 1994 by Steven Spielberg to collect and preserve the testimonies of survivors and other witnesses of the Holocaust, the USC Shoah Foundation Institute maintains one of the largest video digital libraries in the world: nearly 52,000 video testimonies in 32 languages and from 56 countries. The Institute is part of the Dana and David Dornsife College of Letters, Arts and Sciences at the University of Southern California; its mission is to overcome prejudice, intolerance, and bigotry—and the suffering they cause—through the educational use of the Institute’s visual history testimonies. The Institute works within the University and with partners around the world to advance scholarship and research, to provide resources and online tools for educators, and to disseminate the testimonies for educational purposes. In addition to preserving the testimonies in its archive, the Institute is working with partner organizations to expand the archive with accounts of survivors and witnesses of other genocides. Following the events of Katrina in 2006, Spielberg donated $750,000 to the American Red Cross, the nation’s premier emergency response organization. 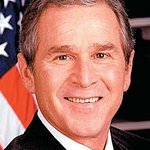 He also donated another $750,000 to The Bush-Clinton Fund. Google trends for "Steven Spielberg"